When Kingdom Hearts 3 was announced, there was enormous excitement over its potential for including more than just Disney properties. 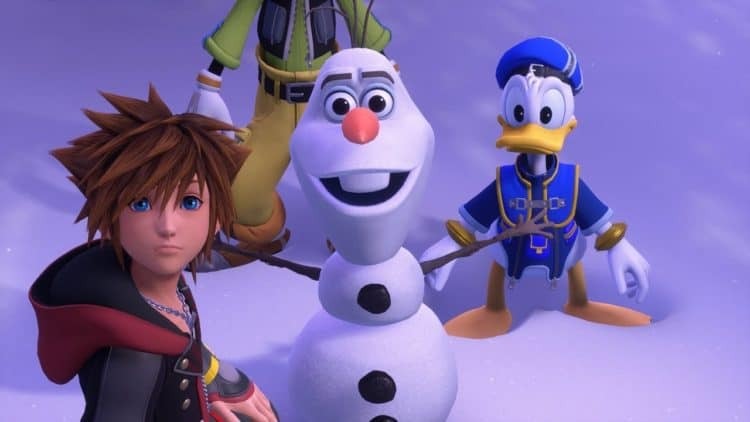 After all, between Kingdom Hearts 2 and Kingdom Hearts 3, Disney managed to pick up Pixar, Marvel, and Lucasfilm, meaning that a huge number of very popular media properties that could have contributed much to the crossover series. However, while Pixar properties managed to make it in, the same wasn’t true for Star Wars, which has caused some interested individuals to wonder why that was the case. Why Didn’t Kingdom Hearts 3 Have Star Wars Worlds? Fortunately, there is a simple and straightforward answer for this particular question. In short, while Disney can be said to own these new media properties, both Marvel and Lucasfilm remain very much relevant when it comes to how their media properties are supposed to be used. As such, the Kingdom Hearts series can’t see use because Lucasfilm has an existing contract with Electronic Arts. In short, when Disney bought out Lucasfilm, it proceeded to gut LucasArts in 2013, which was the segment that was responsible for developing Lucasfilm’s own video games. Nowadays, LucasArts still exists as a licensor, but the development of new Star Wars video games has been entrusted to Electronic Arts. Moreover, it is important to note that Electronic Arts has an exclusive license for new Star Wars games for “interactive platforms,” meaning that Square Enix can’t get the right to use Star Wars for its crossover series until said license has run its course. As for why this happened in the first time, well, suffice to say that Disney isn’t wholly comfortable with getting too involved with video game development, as shown by the fact that it retained the right to make mobile and social Star Wars games but hasn’t actually made much use of that right. Instead, between Marvel and Lucasfilm, the stranger situation is that of Marvel. After all, while the Lucasfilm situation is well-known, there doesn’t seem to be anything equivalent when it comes to Marvel. In fact, it should be mentioned that Square Enix is actually working on a high profile Avengers game at the moment, thus making it clear that it is perfectly possible for the two companies to work together on new video games based on Marvel properties. However, it is possible that Square Enix is waiting for future installments to move forward with Marvel properties in the Kingdom Hearts series, though this will remain as nothing more than baseless speculation unless further information comes out. Could the Kingdom Hearts Series Get Star Wars Worlds in the Future? With that said, it isn’t as though interested individuals should give up hope on seeing Star Wars in the Kingdom Hearts series altogether. Yes, the previous main narrative of the Kingdom Hearts series has come to a close with Kingdom Hearts 3. However, it has already been stated that the people behind the series have plans for further stories, which in turn, mean further installments. Naturally, one would expect to see new worlds in new installments, thus creating the potential for more Disney-owned media properties to show up that haven’t already done so. Instead, the bigger issue is Electronic Arts’s exclusive license to make Star Wars games. Unfortunately, figuring out what is going on is much easier said than done, not least because it is the subject of much speculation. For instance, it is no secret that Electronic Arts hasn’t exactly been capitalizing on the commercial potential of the Star Wars license. So far, it has had multiple cancellations, which are in addition to a Battlefront game that received extensive criticism because of loot boxes. As a result, there are a lot of people who suspect that Disney has been eyeing Electronic Arts in a less than enthusiastic manner, particularly since video games have become big enough that they can influence the course of a franchise as a whole. However, there are those who will point to a relatively recent statement from Disney CEO Bob Iger that Disney has a good relationship with Electronic Arts. Something that in turn, has been argued against on the basis that said statement might not be reflective of genuine sentiment on the part of Disney leadership but might instead be meant for nothing more than external consumption. Summed up, it is difficult to make predictions about what will happen to the Star Wars license in the future. However, if Electronic Arts continues to make a mess of things, it seems reasonable to say that there could come a point when Disney will decide to cancel the license in spite of its noted reluctance to handle video game publishing on its own. Something that could result in Square Enix getting the go ahead to use Star Wars in the Kingdom Hearts series.